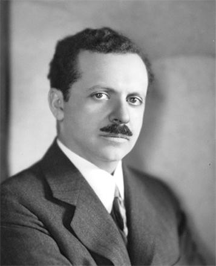 Edward Bernays, nephew of Sigmund Freud and an early pioneer in the field of Public Relations. He has been called the "father of spin." Born in 1891, the photo was taken when he was about 30 years old. In his 1928 book, Propaganda , he argues that the survival of democratic societies depends on successfully manipulating public opinion. Something similar might be true of large-scale efforts within companies. However, just as manipulation can be executed for good or for ill in societies, so can it be within organizations. Because most organizations are smaller than nations, using spin inside organizations could expose them to enhanced survival risks. Virtual teams can face a variety of disadvantages. Some are familiar: they might be geographically dispersed, their members might speak different languages, and they might observe a mixture of holidays. Among the most daunting challenges is the interplay between communication and politics. Here is Part I of a set of common communication traps that relate to politics in virtual teams and organizations. Information hoarding is keeping to oneself, or to a close group of allies, any information deemed valuable with respect to the work in progress, the processes in use, or group politics. Example: withholding from a rival important information about volunteering for a desirable task. Another example: a department head withholding from an out-of-favor subordinate procedural changes for proposing new projects. In co-located organizations, word travels more quickly and easily than it does in virtual organizations. Information hoarding might be practiced in both organizational structures, but it's far more effective in virtual organizations. Team leads can control information hoarding by monitoring communications and by increasing face-to-face contact. Team members can increase their own situational awareness by building and maintaining close, trusting relationships with other team members, wherever they're located. The term spin denotes the practice of shading the truth when describing a condition, result, action, or person. For example, when a particular activity has failed utterly, we might report, "It isn't working yet." Spin-based descriptions are usually literally true, while concealing something important, usually to mislead the listener. In co-located organizations, truth propagates rapidly enough to enable most of the population to detect spin. When truth propagates from person to person, it tends to mutate more slowly than spin does. That's one way team leads and team members can detect spin — by comparing the information they get from multiple sources via multiple paths. face-to-face contactwithin virtual teams take place in media that lack permanent records of message traffic. Even in email, finding exactly what someone said can be difficult. Lack of transcripts enables those so inclined to remember things the way they wish they had occurred, or to blatantly manufacture history. Although this occurs in most teams, virtual teams are more likely than co-located teams to be misled, because fewer people remember the truth. There are fewer people who recall the truth because the body of available witnesses is dispersed. They don't know what happened, because they weren't there. In controversy, or when controversy looms, keep a journal of what's said — when, where, and by whom. Do your best to create a transcript. It won't be serviceable as evidence, but it might be useful for refreshing your own memory, and for generating questions and observations that will help in group discussions. Would you like to see your comments posted here? rbrenTzAjxMDxvwuaiuCnner@ChacyfOZVizqVoErxqMgoCanyon.comSend me your comments by email, or by Web form. See also Workplace Politics, Project Management and Virtual and Global Teams for more related articles. I offer email and telephone coaching at both corporate and individual rates. Contact Rick for details at rbrenDpYXqZIRbNHtPuVfner@ChacyfXjEnqSZLfEmkNmoCanyon.com or (650) 787-6475, or toll-free in the continental US at (866) 378-5470.